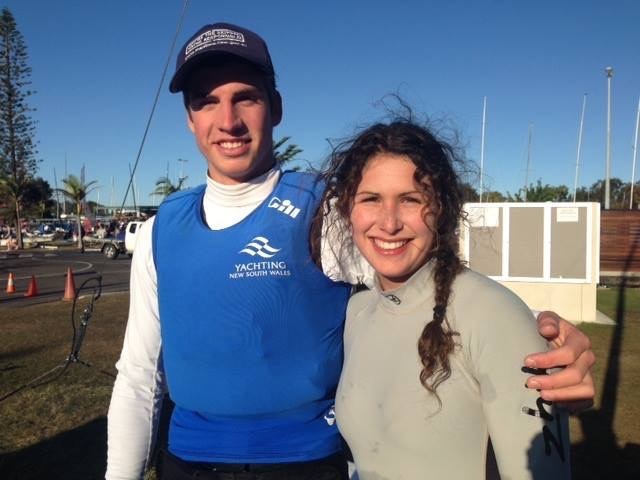 The 2015 Queensland Youth Week came to a close on Tuesday, 7 July 2015 at Royal Queensland Yacht Squadron with the final points awarded to select the 2015 Australian Sailing Youth Team. The team will represent Australia at the 2015 ISAF Youth World Championship in Malaysia at the end of the year (27th of December to the 3rd of January). Shaun Connor and crew Sophie Renouf have secured the multihull fleet team spot. It will be the second ISAF Youth World Championship for Shaun as he was part of the team in the 29er with Jim Colley in 2014. Well done Shaun and Sophie!! Your Hobie family will watching keenly from the Aussie Nationals at Port Stephens.